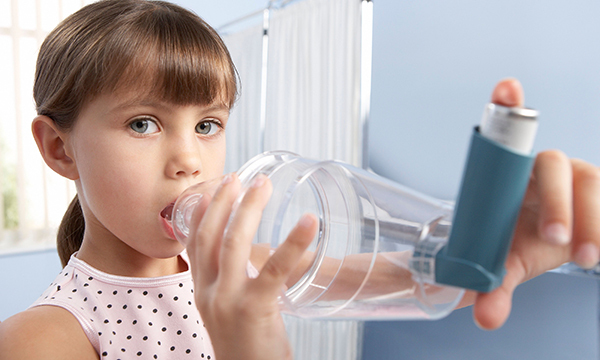 Ensuring that children and young people manage their asthma correctly is problematic and one method is to use an electronic monitoring device to measure adherence. A study by Stewart et al (2018) looks at this method for severe asthma. Here associate nursing professor Linda Milnes outlines the study and its implications for practice. They were trying to help me get better All participants had been referred to the hospital clinic with a diagnosis of severe asthma. They described the significant effect asthma had on their lives, their feelings of vulnerability and the risk of asthma being life-threatening. Their perceptions of the electronic monitoring device included that it helped participants feel better, reduced the need for reliever inhalers and reduced hospitalisations. Checking up and catching up The young people described the device as a way for health professionals to check on their adherence to inhaled corticosteroids and thought the electronic monitoring device data replaced their own communication of self-management to health professionals.The mothers said the electronic monitoring device made them feel disbelieved by health professionals, but they welcomed the opportunity to check their child’s adherence when they were with other carers or friends. Who is responsible? Although the aim of the device is to increase responsibility for self-management, young people described limited involvement in consultations and increased dependency on parents for reassurance that they were using the device correctly. The electronic monitoring device may be useful in demonstrating to children and young people the health benefits of taking inhaled corticosteroids regularly. However, health professionals need to understand that the decision to use them should be based on the needs and perspectives of the adolescent and family. For young people, learning the skills to self-manage effectively provides a foundation for continuing healthy self-care behaviours into adulthood. However, the trajectory to independence in managing a long-term condition is not always linear for young people, who may continue to seek support or rely on advice from their carers. Parents also find transferring responsibility of managing a long-term condition to their children challenging. Intermittent episodes of asthma exacerbations that lead to repeated hospital admissions, days off school and interruption of social support can influence young people’s trajectory to independence. So responsibility for the management of asthma sometimes needs to be shared with young people or require more support. The complex and individual physical, psychological and social environment in which adolescents and families practice self-management should be taken into account to maximise the effect of interventions such as the electronic monitoring device. The study shows the electronic monitoring device seems to increase adherence to inhaled corticosteroids to the extent that young people recognised the positive impact the medication has, although it should be noted the study’s sample size was small and the transferability of its findings therefore reduced. Perhaps the use of the electronic monitoring device integrated in a full programme of individualised asthma self-management support designed specifically for young people would change the negative outcomes of this study.